Hurry up students!! 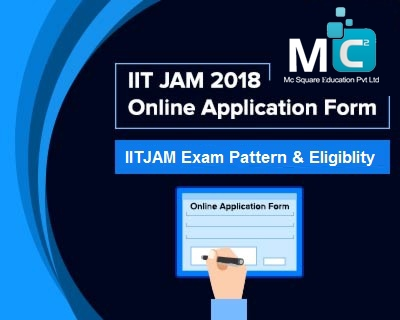 Application form for IITJAM application form has been released & last date to fill the form in 10 October. IIITJAM is national level examination organized by IITs & IISc. After cracking this exam, students can get admission in top collages & institutes for M.Sc (fourth semester), Joint Msc-Ph.D, M.sc-M.tech,M.Sc-Ph.D means for dual degree & other courses. The exam is on 11th February 2018. Eligibility criteria for this exam are candidate should have bachelor degree in any stream from any recognized college & universitie& also appearing in final year of exam. Students must have minimum 55% marks for general & for OBC-NCL candidates & 50% marks for SC, ST & PwD categories. IITJAM exam syllabus will comprise of various topics such as Biological Sciences, Biotechnology, geology, Mathematical Statistics, Chemistry, Physics & mathematics. The syllabus is divided into 3 parts. Exam is conducted in online mode. Total exam duration will be 3 hours & paper is in only in English language. No negative marking for section B & C.
Application fee for General & OBC is 1500 Rs for one test paper & 2100 Rs for two test paper and for Female all categories, SC,ST,PwD is 750Rs for one test paper & for two test paper 1050Rs. Candidate have to make payment in online mode only through debit/ credit card or net banking. IIT JAM exam result will be released on 20th March 2018. Result will be provided to students in online mode through website. The candidates who have appeared in IIT JAM Exam merit list are eligible to apply for admission process. Admission form submitting from 3rd April 2018. If you have any doubts regarding IITJAM syllabus please visit: http://www.mc2academy.com/welcome/iitjam_biotechnolog_biologicalscience_chemistry or contact us on 9021405933. Mc2 Academy is the best IIT JAM coaching institute in Pune. If you have any doubtd then must read this blog: http://www.mc2academy.com/welcome/blog_details/Best-Coaching-classes-for-IIT-JAM-Exam.html which give you whole details about our academy.